Read it, you must. Yoda, legendary he is. This fun Level 3 Reader will introduce a new generation of Star Wars fans to the iconic character. 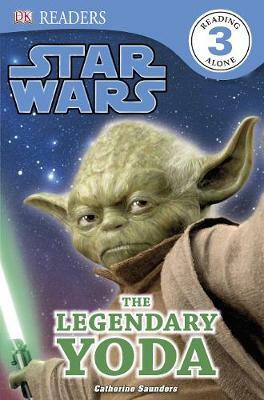 Star Wars The Legendary Yoda follows Yoda on his adventures, recruiting new Jedi and mastering the ways of the Force. Level 3 Readers are perfect for children just starting to read alone. The glossary and index sections show them more about the world of Star Wars and information boxes support the story as they explore the exciting universe of Yoda, Luke and Princess Leia. Continue the reading adventure with Star Wars The Legendary Yoda.